H.P. Lovecraft was an American poet and story writer who made a name for himself, albeit posthumously, as a writer of horror stories and it was this genre of literature for which he will best be remembered. He claimed that fellow American Edgar Allan Poe was THE major influence on his writing and it is easy to see why when you peruse his catalogue. 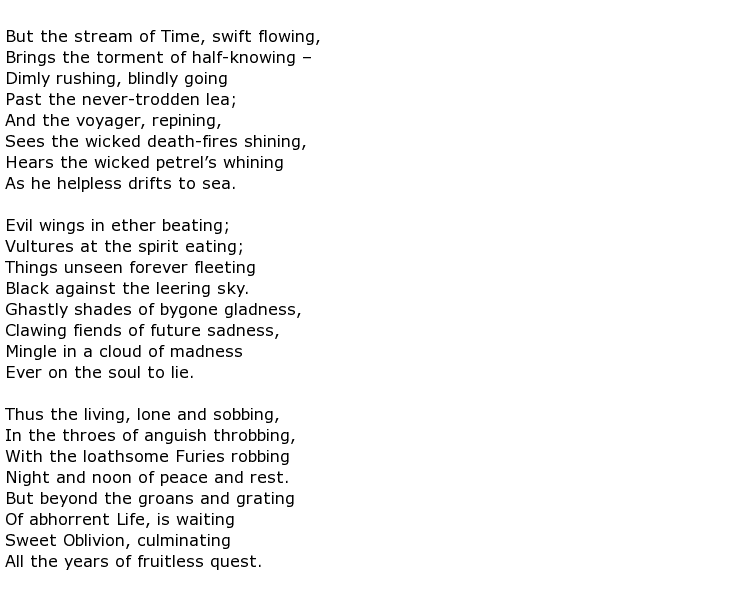 He did, though, write a considerable amount of poetry and this started when he was only six years old. 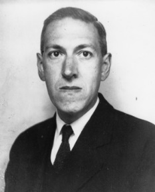 He was born Howard Phillips Lovecraft on the 20th August 1890 in the small town of Providence, Rhode Island. He would spend most of his life living at this same house, number 194 Angell Street. He was the son of a travelling jewellery and precious metal salesman while his mother was descended from the famous Massachusetts Bay Colony of 17th century settlers. It was his mother, aided by other family members, who raised the boy from the age of three after his father was admitted to hospital suffering from a psychotic illness from which he never recovered. This difficult childhood seemed to do young Howard not too much harm though as he was reciting poetry from the age of three and actually writing his own at the age of six. which he read avidly, and he loved to sit and listen to his grandfather’s stories of the macabre. While his mind was active beyond his years, his body constantly let him down and he missed most of his school days due to illness. He later said though that he had been constantly troubled during the night by so-called “night gaunts”, faceless demonic like apparitions that infected his dreams and prevented any good night time sleeps. They became the subject of one of his poems. It may have been his troubled state of mind that manifested itself during childhood that caused Lovecraft so much pain in life. Although he was clearly talented his writing was never commercially successful enough during his lifetime to provide a comfortable living. It seems that he lacked the will, or knowledge, to promote himself effectively. As a result he never really got beyond seeing his work in the pages of pulp magazines. He lived mostly off inherited money but this was all gone by the time he reached his mid-forties. The death of his beloved and influential grandfather when Lovecraft was fourteen years old set the tone for a difficult life ahead and he never seemed able to climb out of what were constant fits of despair. Had his writing achieved a modicum of the success that it did later in the 20th century, after he had died, then life would have been so much better. On the other hand it could be argued that someone who wrote about the horrific things that Lovecraft did was destined to lead a highly troubled life. During the 1920s he was part of a group of literary figures in New York who gathered under the name the “Kalem Club” and fellow members encouraged him to submit work to the Weird Tales magazine. Reaction from the reading public was mixed although his reputation amongst fellow writers was favourable. He was always generous with budding writers, allowing them to borrow from his own ideas, for no monetary gain. H.P Lovecraft became one of the greatest writers of horror stories that the 20th century had known but all this success came posthumously. He died on the 15th March 1937 at the age of 46.